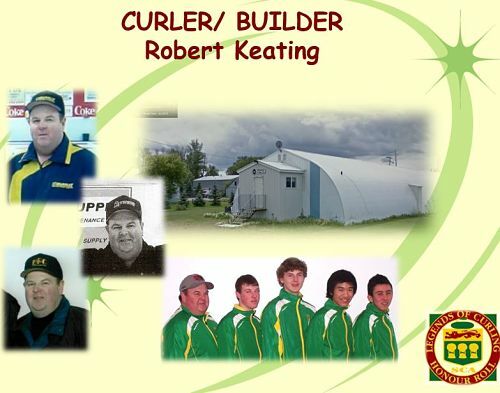 Robert Keating has always been active at the Benson Curling Club as a volunteer. He has served in every capacity including Club President. One of his most important roles was as President of the Benson Artificial Ice Committee. This committee was formed in 1988 after realizing that if their curling rink was going to survive they needed to compete with larger communities that had artificial ice. Over the years this committee has taken on the tasks of installing their ice plant, repairing their rink after damage from a plow wind. Then in 1999 seepage crumbled the cinderblock basement. The committee then took on the task of moving washrooms upstairs and rebuilding the ground level lobby. In order to cover the costs of all of these renovations Robert and his committee took on some major fundraising activities. Events included organizing free curling clinics for 100 youth curlers, exhibition curling games followed by a banquet. Over the next several years their events Cindy Street, Jim Packett, Guy Hemmings, Sherry Anderson, Scott Bitz, Eugene Hritzuk, Rick Folk and Ed Werenich. Robert is also a very accomplished curler competing in the Men’s southern Playdowns 7 times between 1996 and 2008, competing in the Provincial Tankard Playdowns in 2006. 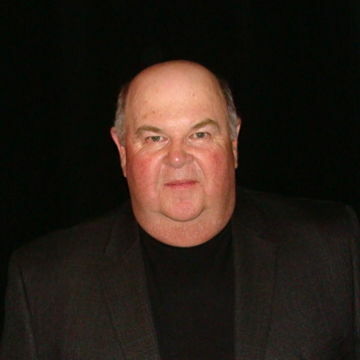 He also competed in the Provincial Mixed Championships in 1992 and 2007 as well as the BASF Canadian Farmers curling Championships in 1991 and 1993. His involvement in curling does not end there. He coached his son Kris’ Team in High School Playdowns, Juniors and Juveniles. They competed in the Juvenile Provincials in 2008 and 2009, the Optimist Under 18 International Championships in 2009 and the High School Athletic Provincials in 2009. He also coached the Adam Himmelspach team at the Men’s Southern Playdowns in 2009. Robert is also involved in other community activities including the Culture and Youth Board, the Benson Recreation Facility and has been involved in Baseball as a player and a volunteer for many years. Robert continued to work tirelessly for the Benson Curling Club, however, despite all his efforts the little club was forced to close. Over the course of many years, Robert was the major ice maker and spent many hours working on the ice to make it perfect for the curlers. He volunteered his time to keep the sport of curling alive in the little hamlet of Benson because of his love for the sport and his love of his community.